​At first sight, their apartment or room might seem perfect: a clean floor, books arranged in a neat fashion, appropriate wallpaper... But once you take a look inside a kitchen drawer or a shelf in the closet, you might see broken scissors or pens, old credit cards, or crumpled clothes. ​Some people spend years living in apartments with a leaky tap, old-school wallpaper, and keep things in boxes in order not to spend extra money on new stuff. 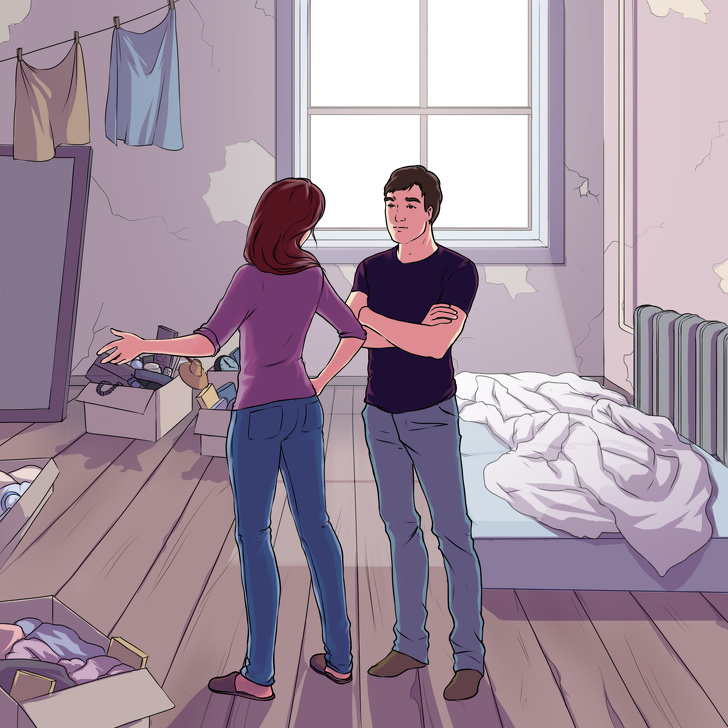 They often treat their place as temporary: like they are planning to move to a different town, find a job abroad, get a mortgage, or just wait for their lives to somehow change. 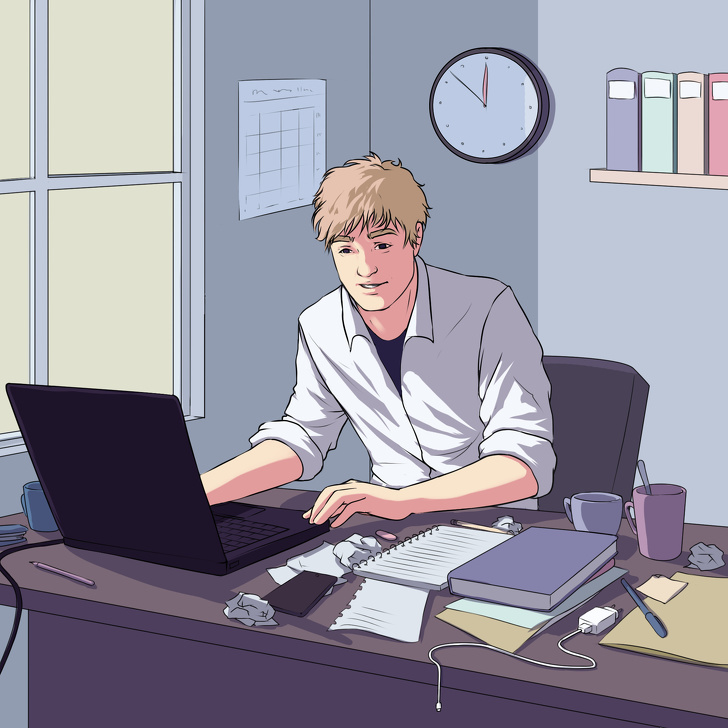 ​The workspace is one of the most interesting spots in the apartment in terms of psychology. Some people sort everything into folders and put the folders on shelves. Others mix everything up. All the papers, pens, plates, pencils, laptops: these things take up space and are covered with dust. This can indicate high self-esteem and immaturity. 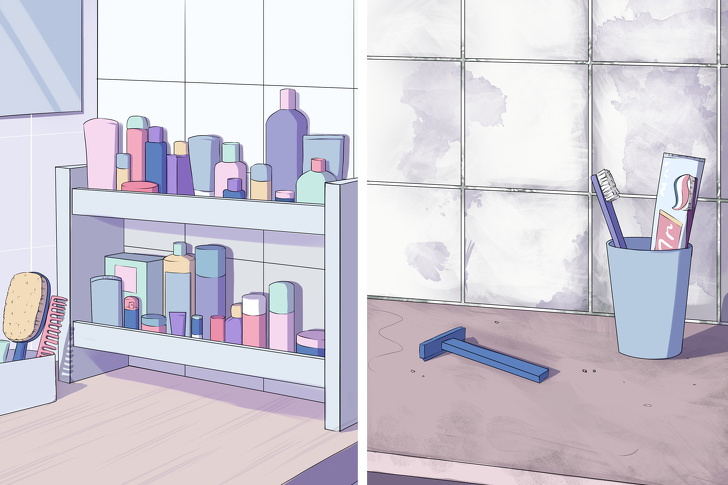 ​Very few people can say that they love cleaning. 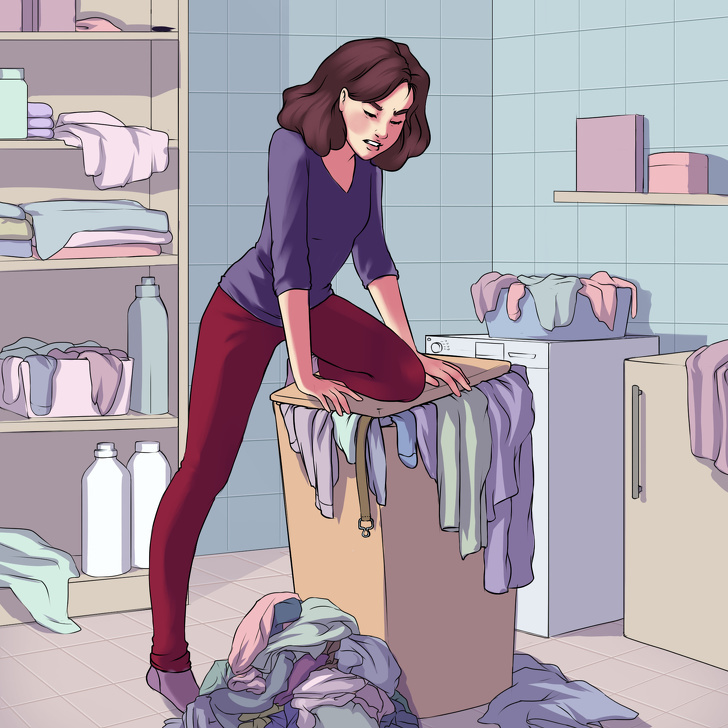 But some people hate it so much that it actually becomes scary: they collect all the trash on their balcony during the winter or put all the dirty dishes in the sink until they realize that they have no clean dishes left. ​5. There’s a feeling that nobody lives there. ​Some people’s homes look like they are only used as places for sleep. The place may be clean, have very little furniture, and almost no dishes. Sometimes they don’t even have a stove, a fridge, or other necessary things. These apartments are popular among students who actually spend very little time in them. 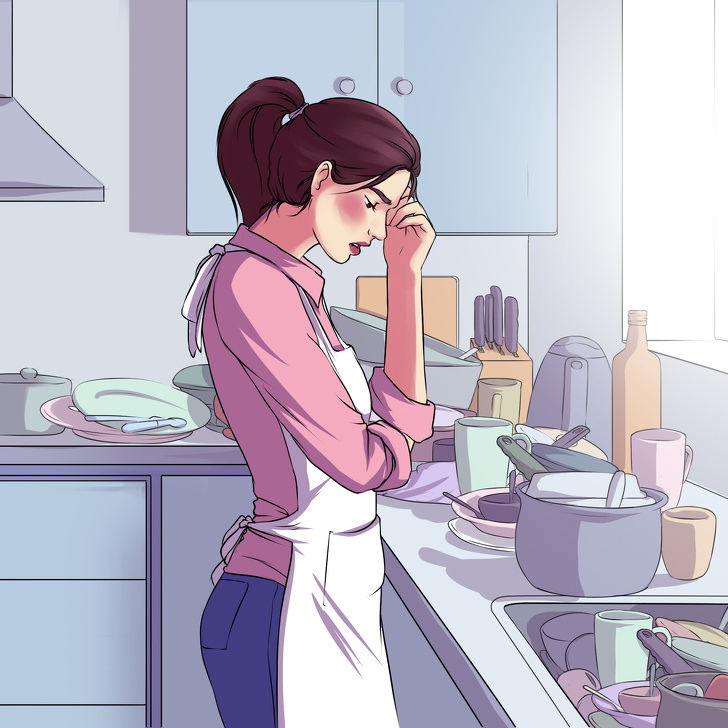 ​The kitchen is supposed to be the cleanest place in the house because this is where we eat and cook. Oil and grease stains, leftovers, coffee and tea stains on cups — all these things don’t just make the place look bad, but can also be dangerous for our health. Even the people who don’t really like cleaning try to keep the kitchen clean just to be safe. However, there are people who are okay with a dirty kitchen. ​Shampoo commercials usually show the bathroom as a place where you can forget about all your problems and completely relax. And it’s true: a hot bath or a cold shower have a huge effect on the way we feel. Different smells can wake us up, and salts and essential oils can improve the state of our skin and the function of our internal organs. ​Some people have a very hard time saying goodbye to the things they love. You’ve probably seen these apartments: they have tea sets that nobody uses, old furniture that is placed on the balcony, an old bicycle that nobody has ridden for a long time, and other useless stuff. ​There are people who don’t mind cleaning their bathroom or vacuum cleaning their carpet in their free time. Of course, there is nothing wrong with the desire to live in a clean space, however, if a person pays too much attention to this, it may indicate some problems. Usually, these people are not fans of having guests because they may damage something or move something and disrupt the perfect order. ​A good pair of jeans is the most universal clothing in the world. Many girls and women choose skinny jeans to highlight their beautiful hips and legs. But, unfortunately, these jeans disrupt the blood circulation which leads to varicose veins and cellulite. The skin can’t “breathe” because the fabric is too close to the body, and ingrown hairs may even appear on the hips and in the bikini area. ​When a woman puts on high-heeled shoes, she transforms immediately: she becomes way more feminine and fit. But this doesn’t mean that she should wear high heels every day. This fashionable item will lead to backache, leg pain, and swelling. Also, wearing high heels often can cause a hernia and a rounded spine. ​It seems like flat shoes might be completely harmless. But doctors claim that these shoes can do a lot of harm to your health because the load on your foot will be uneven. There will be no shock absorption while walking. This will lead to your vessels increasing in size and losing their elasticity and the foot itself will become flat. It can lead to foot pain and back pain. Another unpleasant consequence is when the foot turns inside which leads to a deformation of knees and hips. ​These bras are extremely popular. However, even if breasts seem to look more round and are at the right height, in reality, the special parts of this bra deform the breasts and make them more dependent on artificial support. On top of that, push-up bras block blood vessels and this constant pressure on the breasts can even lead to cancer. 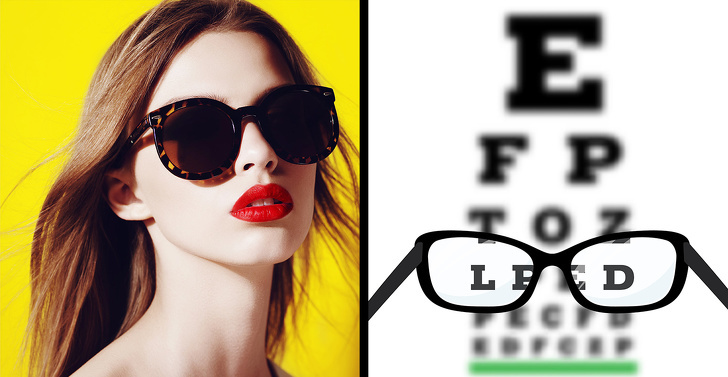 ​Sunglasses are not only a trendy accessory but also an absolute necessity when the sunlight becomes too bright. However, you can’t wear sunglasses in the evening or inside when there is not enough light. This will put an additional strain on your eyes which makes the risk of developing cataracts even higher. More than that, you have to keep your sunglasses clean and don’t use the sunglasses that don’t ensure 100% safety from UV-light, as they can damage your eyes. ​This is a necessary piece of clothing for any woman. Tights make our look more complete and elegant. They make our legs appear more visually beautiful. But, unfortunately, if you wear them often enough, they might be harmful. The synthetic ingredients of tights hold in the moisture, creating a greenhouse effect. As a result, they lead to different vaginal infections and some tights also have a negative effect on blood circulation which can lead to varicose veins and cellulite. ​A woman’s handbag is a repository where you can find anything from cosmetics to a laptop. Handbags are really convenient but also unsafe for our health. Because we constantly carry bags on one shoulder, the strain on the shoulder and the spine becomes too heavy which can lead to scoliosis and osteochondrosis. 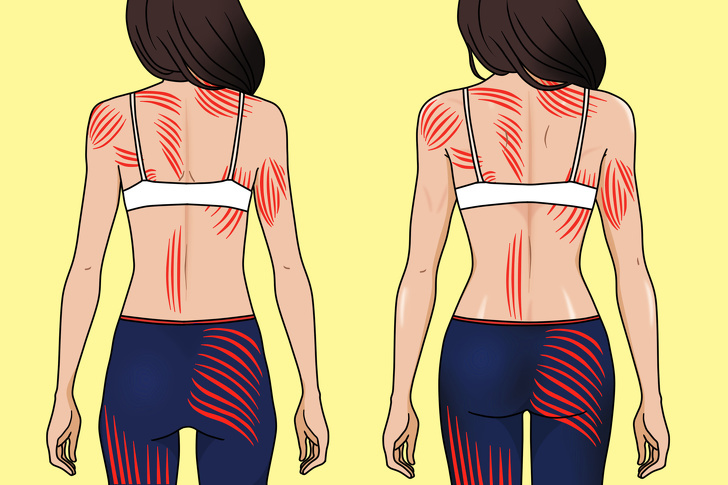 Because of the imbalance, you might have muscle spasms, blocked blood vessels, and pinched nerves. ​How can someone live without comfortable pajamas, especially in the winter time? And how can they harm your health? The thing is, pajamas that are too tight or too warm trigger the growth of different bacteria which can lead to skin irritation, itch, or a yeast infection. Women who have chronic yeast infections are recommended to sleep without pajamas and even without underwear. ​This is a representation of healthy people meeting an infected person who has measles. According to statistics, 9 out of 10 people will get sick, and one of them will have complications. ​It’s true that there is no vaccine that can give you a 100% immunity. But with measles, these numbers are about 93-97%. In some rare cases, it’s possible to get infected because everybody is different and some people’s immune systems may function in different ways. This is perfectly normal and it doesn’t mean you should give up on a vaccine completely. 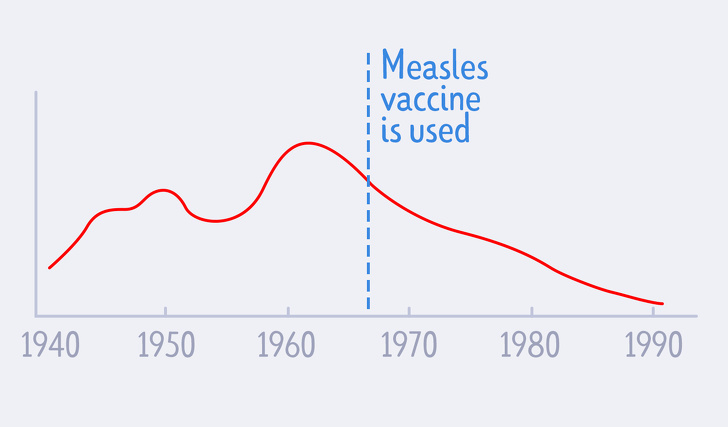 ​In 1998, the serious scientific journal Lancet posted an article about the connection between the measles vaccine and autism. Later, the ideas of the author were negated and the article was deleted. But the people who read the article could never forget it. ​Children before the age of 2 have to get about 10 different vaccines. Some parents are worried about the number of vaccines they get and they believe that a child’s body can’t handle so many vaccines. They seriously believe that every injection lets thousands of dangerous bacteria get into the child’s body that destroy their immune system. ​This old superstition has a point, no matter how strange it sounds. 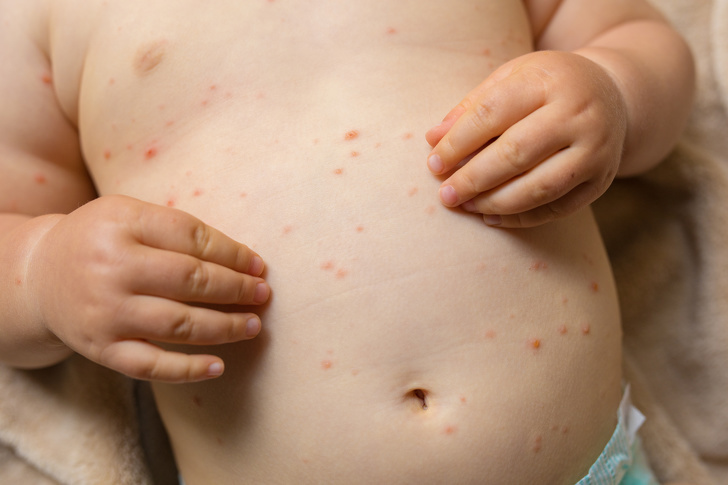 Scientists tested rosemary and sage essential oils for how well they can fight measles. ​Myth № 7. The measles vaccine is an easy way to make money using people’s trust. ​From a historical point of view, this argument is completely powerless. The vaccine industry was never profitable in the past. For decades, this part of the pharmaceutical market was not financed and didn’t function well. Many companies even sold their divisions that worked on vaccines in order to focus on the production of more profitable medications. ​​Many people are worried about the dangerous chemicals in the vaccines. The most popular concerns are mercury, aluminum, and formaldehyde. These chemicals really are dangerous but their concentration in the vaccine is so small that there is no need to even talk about this. ​“God knows how I’m still alive”, said a guy from the US on Reddit. He was raised by parents who are against vaccines. Once he was 18 years old, he had his first vaccine in his life despite what his parents said. This was such a shocking thing that a lot of different media wrote about this. ​Let’s start with imagining a normal day of a woman at the end of the 19th century. Women living in cities worked as nurses, conductors on trams, typists, and secretaries in factories. Those who lived on the countryside took care of cattle and worked in fields. ​At the beginning of the 20th century, arranged marriages still existed and entrepreneurs’ sons married industrialists’ or vendors’ daughters. A divorce was really uncommon due to several reasons: society’s condemnation, religion, and legal issues. To get a divorce, a woman would need to have strong evidence: her husband’s infidelity or violence. The process was also expensive and only wealthy people could afford it. ​Women gave birth to many children, but let’s keep in mind the level of child mortality. For example, famous inventor and military engineer, Mikhail Kalashnikov, was the 17th child in his family. In total, there were 19 children and only 8 survived. Children usually died before they turned 1 year old due to infection, poor hygiene, and a lack of food. What’s more, is mothers often didn’t have enough knowledge on how to take care of children properly. Giving birth was also a risky process. Women died due to infectious diseases like sepsis (puerperal fever), pneumococcal infection, and peritonitis. The reasons were different: doctors used to touch wounds with dirty hands or non-sterile instruments, for example. ​People have always suffered from oncological diseases. The early symptoms of cancer were noticed in Ancient Egyptian mummies. In the second half of the 19th century, scientists learned to diagnose and cure breast cancer. The attempts weren’t always successful, and only city residents had the opportunity to try this method of treatment. ​In the countryside, medicine wasn’t good, and most diseases weren’t diagnosed at all. Because of frequent childbirth, the lack of food, and hard work, women suffered from uterine prolapse. Infectious diseases were also really common like smallpox, tuberculosis, dysentery, measles, cholera, and typhus. ​Feminists deprived women of the opportunity to stay at home, cook soups for their husbands, and babysit their children. So now women are forced to work as men do. This myth is actively supported by books, film, and pseudohistory. 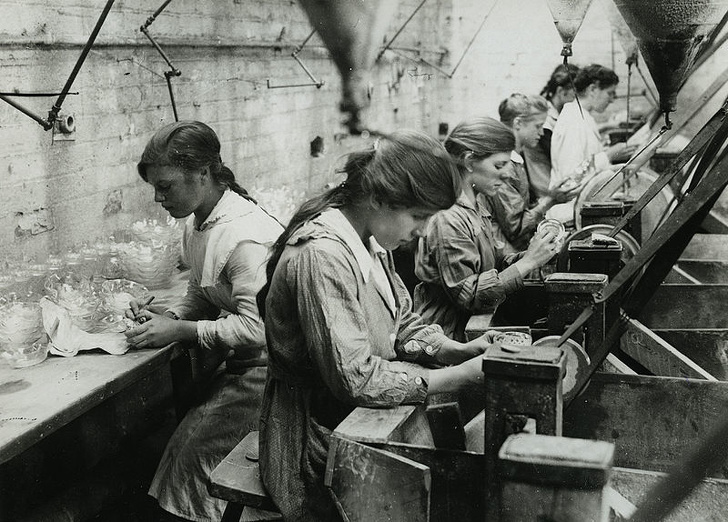 In fact, women who lived in cities worked in factories, were teachers, nurses, and secretaries. Mainly women and children worked in the textile industry and their salaries were way lower than men’s. In the few days before giving birth to a child, a woman would be allowed to take maternity leave. ​On the countryside, the situation was slightly different. The next day after giving birth to a child, a woman had to take care of all household duties like chop wood and bake bread, and she started working in fields in just a few days. Women used to take their babies with them or leave them with grandparents or older siblings. There was no difference between men and women’s work. There were only 2 restrictions: women weren’t allowed to lead a horse or work at a forge. And let’s keep in mind that women were also responsible for taking care of the laundry, cooking, and cleaning the house, while men weren’t involved in those processes at all. ​Motherhood was a woman’s main duty. In 1919, the first ever laws aimed at protecting women before and after giving birth were developed. As a rule, after her maternity leave, a mother got back to work. Siblings, grandparents, and other relatives took care of the child. In cities, there was an opportunity to bring a child to a special care institution (kindergarten’s predecessor). ​At the beginning of the 20th century, life expectancy in Europe was 31 years, but by the ’60s, the level was increased by 2 times. High mortality was common mostly among children under 5 years old. The lack of food affected children and women’s health a lot. Famine was one of the most challenging problems of the 20th century. Around 70 million people died from hunger (the majority of them were countryside residents). Thus, famine in Germany killed more than 500,000 people. The food was more natural, but people suffered from vitamin and mineral deficiency, which is why scientists tried to develop vitamin supplements to solve the problem of avitaminosis. ​Yes, moving to cities made women’s lives easier, but they didn’t get rid of their household duties, and men often didn’t help them. At the beginning of the ’20s, women spent around 95% of their free time doing housework, and in 55 years, they had to spend 58% of their free time cooking, doing laundry, and so on. Despite all gender differences being neglected in the modern world, women are still responsible for 60% of all household duties. On average, men spend 15 minutes on housework each day, while women spend 45 minutes, but the gap is getting narrower. ​The local people from this ancient city are tired of the tourist crowds: they literally block the streets and locals can’t get to work or home after a working day. This is why, since May 1, you will have to pay money for entering the city. The tourists who come to Venice to swim in a gondola will have to pay $3. Everyone who tries to avoid paying will pay a fine of $450. These rules only work for tourists who decide to save money on the hotel and only come to the city for one day (the people who are staying at hotels will already have paid the tax). ​The authorities of the Philippines had to close down the beaches of Boracay Island for 6 months to do a cleaning. It cost almost $20 million to clean the sand and the water from all the trash. Now they’re ready to let tourists in again but not in such a great number and only if they don’t harm nature. On the beaches, it’s strictly prohibited to smoke, drink alcohol, or even eat. 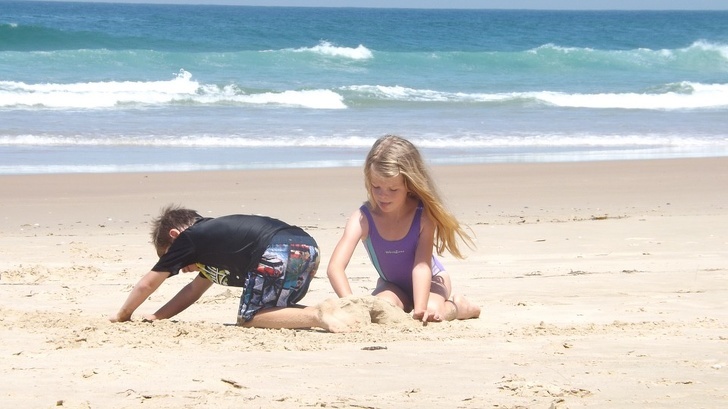 And the natural landscapes should remain as they are, which means that children can’t build sand castles. ​On Island Ko Samet in Thailand, you can’t use plastic bags or containers. If you break this rule, you will pay a fine. The new limitations were set because the poor island was incredibly trashed. Almost 1,500 tourists come there every day. After they leave, the national parks are full of different packages, bottles, and other trash. ​The people from this Indonesian island complain about tourists who walk around in swimsuits and take photos of themselves in front of temples. So, at the of 2018, the local authorities seriously considered prohibiting wearing bikinis and limiting the access of sacred places to tourists. ​In 2018, a huge number of hostels were opened in Russia. And most of them are in regular city apartments: inventive hosts put more beds in the rooms and started renting them. Neighbors have to put up with constant noise and a lot of unfamiliar people. But in 2019, hostels in apartment buildings will most likely be illegal. What will this mean for visitors? They will have to book rooms in legal hostels. ​In 2019 and the following years, you will be able to climb Mt. Everest only in spring. Also, there are limitations for the number of climbers — not more than 300 people per year. This decision was made after the local authorities had to clean the mountain: in 2018, around 8.4 tons of trash and excrement were collected on the mountain. Now there will be dumpsters and toilets present. ​The visitors who are used to renting bicycles will have to stop talking on the phone while riding. If they don’t, they may have to pay a fine of $250. Before in the Netherlands, it was illegal to talk while driving a car but since July 2019, the same law will apply for cyclists. The reason is simple: the number of accidents has increased. ​This city is visited by more than 10 million people from different countries every year. Before, there was no place in Florence where there were no tired tourists resting and eating sandwiches. The city authorities decided that this behavior had a negative influence on the look of Florence and since 2018 it has been illegal to sit on stairs and eat outside. This law only applies for 4 streets downtown and if you break this law, you will have to pay $500. ​Since January 2019, the center of the Italian capital has been closed for tourist buses. This was made in order to protect the historical legacy and reduce the noise and air pollution levels. Also, the authorities of Rome will make the punishment for vandals harsher for such things as taking pieces of Colosseum walls or for washing one’s legs in fountains. ​The local parks have always had very strict rules. Only in 77 out of 490 of them is it okay to ride a bicycle, play with a ball, and have picnics. Now, Parisians and tourists are allowed to do this almost everywhere. But there are still some parks where you can only sit on a bench and read a book. So, if you are going to Paris, ask the locals about the rules when you are in certain parks. How? It’s a step-by-step process that requires patience. The potty should always be in the same place where a child can easily see it. Never force the child to sit on a potty. In the beginning of the training, don’t forget to praise your child every time they sit on the potty. The result is irrelevant at this point: it doesn’t matter if they actually left something in the potty or if the child did you a favor and just sat on this weird object with their pants off. You can also try to put a teddy bear on the potty and tell fairy tales about how characters enjoy wearing dry pants. And that’s it! The rest is just a matter of time. Hide all the things they can’t touch from the child. Show the child a new bright object or promise to do something else even more exciting. I always carry a bottle of bubbles with me, a balloon that I can blow up in the case of an emergency, or small and cheap toys. Scissors are a dangerous toy for a kid and if they really want to touch them, it’s fine to let them do it — but only if mom controls the process. Having too many taboos irritates the child and limits their development. If you need to stop a game to feed your child, suggest feeding a toy first. For example, if you want to make your young “builder” stop building and have lunch, don’t say “Leave your building set and let’s go eat.” Just announce that the construction team is having a lunch break. Suggest an alternative and the child will behave the way you want. For example, you could ask: “Will you pick up your toy soldiers or cars first?” Unfortunately, this technique doesn’t work for long. After a certain age, the child can and probably will refuse to perform both actions. Shift your child’s attention to something else. Come up with a calming routine. As a rule, most families develop their own calming routine over time. It can be the same rhyme, fairytale, or game. For example, mom can gently blow on the child’s eyes to dry their tears. Or you can give the child some “magic” water that will calm them down. Food is a basic human need. Imagine that you’ve “forgotten” to feed a newborn. They’ll let you know about how hungry they are with a loud scream and won’t calm down until you feed them. The child knows best when and how much they should eat. When you offer the child varied and colorful food, remember the psychology behind it: the most important thing is to not try to persuade them. Let your child become really hungry. The appetite is always better when it’s associated with positive emotions. If you let the child take part in the cooking process, give them an opportunity to try different ingredients and pick products at the supermarket, you’ll never face problems with poor eating again. And when you want to give your child more food than they actually need, just take some time and think: “Why do I do that? Is it about the stereotypes from the past? Do I believe that we should never have anything left on the plate? 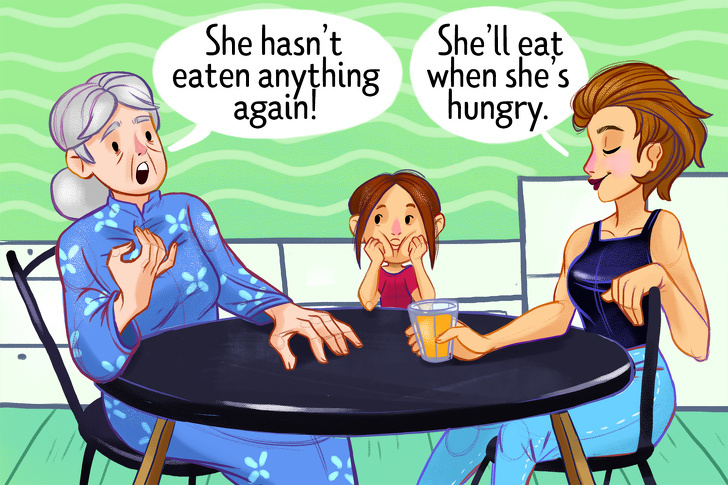 Or am I afraid that the child will still be hungry?” The child isn’t an enemy to themselves and they have a strong connection with their bodies. They’ll eat when they’re hungry. Feeding the child by force isn’t the best way to express parental love. If the child isn’t eating anything at meals, don’t let them have snacks between them. Try to avoid products with taste boosters and artificial flavors. When the child gets used to them, healthy food will taste stale. Give the child fewer sweets. Walk more often and make your child more active. This will have a positive influence on the appetite. Your child may have difficulties with falling asleep because they’ve developed the habit of falling asleep while crying, they perceive sleep as a punishment, or they feel an exaggerated importance when it comes to falling asleep on time that was created by their parents. I’d like to share with you my own observations and methods I used when I worked in a kindergarten class. Body-oriented therapy. I sat on the chair next to the child’s bed. I put one hand on their thigh, gently fixing their legs, and the other one on their shoulder. Then I made very gentle swaying movements. This technique allows them to achieve muscle relaxation, as well as calm down the nervous system. Joint breathing. With my hands on the child’s body, I tried to mimic their breathing. I gradually started to breath deeper. Then I swung the child a bit. Thanks to slow deep breathing and flicking motions, the children fell asleep quickly. Dull reading. When I read a book, I inserted phrases about relaxation and falling asleep in the text: “And then the bear said... I’ll sit on the stump... Eat my pie... Lie on the grass... Take a nap...” It is essential to read slowly on exhalation, with pauses to make your breath smooth and gradually slow down the pace of your speech. If you do this right, you’ll notice a slowdown in the breathing of your listeners. Come up with a symbol of a calm sleep. It can be a toy that the child will hug when falling asleep. And it’ll be easy for them to fall asleep not only in their own bed, but in any place. Move to a new bed together. If the child has been sleeping with their parents, the mom can sleep with them in their new bed in the beginning. This way the child will get used to the new bed together with their mother, and then will eventually be ready to fall asleep alone. Increase motivation. If personal motivation isn’t strong enough, it’s essential to find new sources. You can pick out new bed sheets or some other accessories together with your child: glow in the dark stars for the ceiling, a cute nightlight, and a dream catcher are perfect options. ​Gada Mace has been known in India for over 2,000 years and is used for warrior training. Originally made of clay, stone, or cement with a bamboo pole in the center, it looks like a massive lollipop and is unbeatable for developing a good grip, as well as upper body strength and power. This explains why it’s still used by wrestlers. If you can swing this thing around your head, throwing an opponent should be a piece of cake. This exercise has a very deep past, but is still considered to be very effective for building strength and mobility. Perhaps that’s why many wrestlers and jiu-jitsu participants include it into their regular training regimen. Lowering your body, pull yourself through your hands, turning your knees to the right. When your chest gets in line with your shoulders, start turning your knees to the left. When your chest gets in line with your shoulders again, start pushing yourself back to the initial position. The entire move should be very smooth and go in one motion creating a semi-circle across the floor. This exercise is excellent for improving your balance and lower back flexibility. Start standing with your feet slightly wider than shoulder-width apart. Raise your right foot slightly so your weight is on your heel. The left foot should be standing firmly. Start lowering yourself, bending your left knee, and keeping your right knee straight. You can extend your right arm to the side (this is optional). Once you reach the lowest point that you can get to without any discomfort in your lower back or knees, return to the starting position. Another exercise that has been practiced for centuries is called Hindu squats. Begin to squat, putting all your weight on your toes, keeping your back straight, looking forward, and ensuring that your knees slightly go over your toes. Lower yourself until you can touch the floor, and remember that you should be squatting, not bending forward. Swing your arms up and use the momentum to start extending from your knees and hips and return to the initial position. 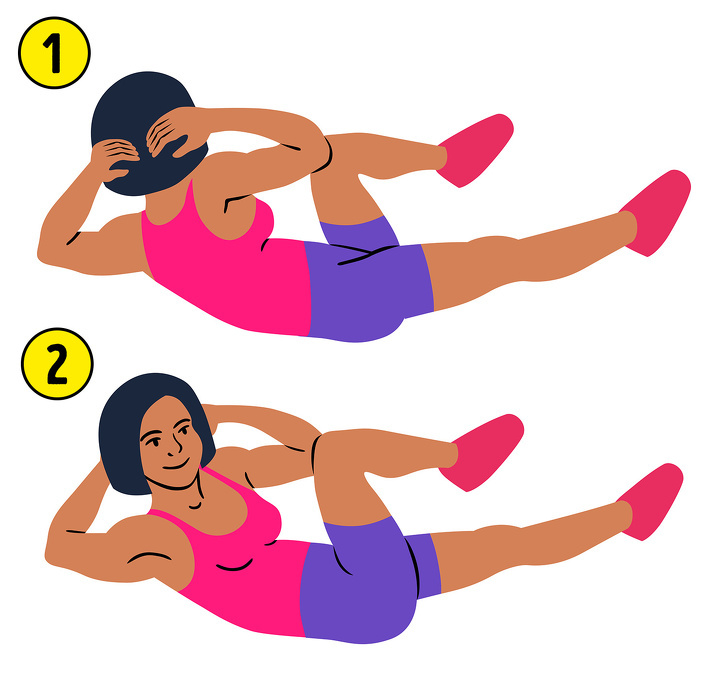 You’ve probably seen someone doing this exercise. It’s called the farmers walk. It may look simple, but it is actually very effective for building strength, since it activates the muscles in your entire body and also creates a mental toughness. You probably didn’t know that this exercise was the gift to us from the Vikings. They were very heavily armed, and to carry all those weapons, shields, and other metal stuff, they had to be really strong. Grab weights according to your personal strength. Walk 10 steps, look forward, keep your back straight, and engage your core. The 300 workout is used these days a lot, especially by actors when they need to change their look in a short time, but not everyone knows that this program has been around for centuries, in fact, it came to us from the Spartans. It’s brutal and highly effective. Practice it twice a week and you will transform your body into not just being skinnier, but being more fit and athletic too. Take a one-minute rest after each exercise. If you count the number of reps, you will know why it’s called the 300-workout. ​Fitness in ancient Greece was an important part of their culture and basically essential for all people. In those days they already had professional trainers whose job it was to design a training routine for people of different levels and ages. The programs varied in intensity, but all of them had these must-have stages — warm-up, workout, and cool-down. Sounds so familiar, doesn’t it? Those 3 stages are crucial, no matter what you are trying to achieve — to change your body’s shape, build strength, or increase stamina. ​Ancient Greece was known for growing terrific athletes. But one guy, named Milo of Croton, had a dream to become the best of the best and he came up with a very special training program. At a very young age, he started training by carrying a newborn calf. In the beginning, it was a little calf, but as Milo was getting stronger, the calf was growing bigger. Years later, Milo was able to carry a fully-grown bull on his shoulders. Of course, we will never know if this story is just a myth or if there is some truth to it, but it perfectly describes what we call a progressive overload these days. ​Singapore's famous seafood restaurant House of Seafood' has a long history in Singapore. It is not only famous in Singapore, but also has many branches overseas and visited by many people abroad. Over at the Punggol outlet, one can see whole ‘Wall of Fame’ of the Boss Mr Francis with many famous people and artistes. Singapore artistes Lawrence Hiew and Danielle Gan are also frequent visitors to House of Seafood. During Lawrence and Danielle’s recent visit to House of Seafood, they did the unusual by ordering the home-cooked dishes instead of their usual famous crab dishes. Their testimonials towards these home-cooked dishes- filled their stomachs and their warm hearts. House of Seafood Founder, Datok Francis Ng, was pleasantly surprised by their orders. “Most people would come here for our famous crab dishes.” But Datok Francis was also thankful that Lawrence and Danielle both enjoyed those home-cooked dishes. A ‘Celebrity Set Menu’ was introduced to thank them for the support. ​Named ‘Happiness Duo Celebrity Set’, the set menu is for table of 10 persons. 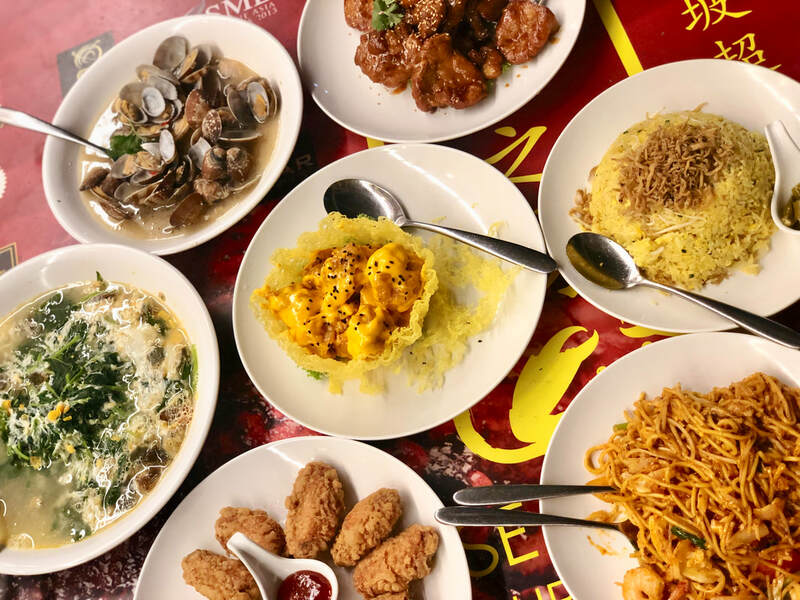 Dishes include: White Bee Hoon with XO Sauce, Silver Fish Fried Rice, Mee Goreng, Salad Prawns, Stir-fried Lala with sliced chilli, Braised Pork Ribs, Crispy Shrimp Paste Chicken and Golden Eggs 3-Colour Spinach. The price for this set? At $128++, you can’t find any better deal than at House of Seafood. Book an appointment with them now to find out why these dishes appeal to Lawrence and Danielle! ​If you find it difficult to reduce belly fat, then one of the reasons may be that you have chosen the wrong weight loss method for your stomach. There are 5 types of abdominal obesity caused by different reasons, and each of them requires a certain diet and exercise. So it’s important to determine your belly type and plan your weight loss according to this. 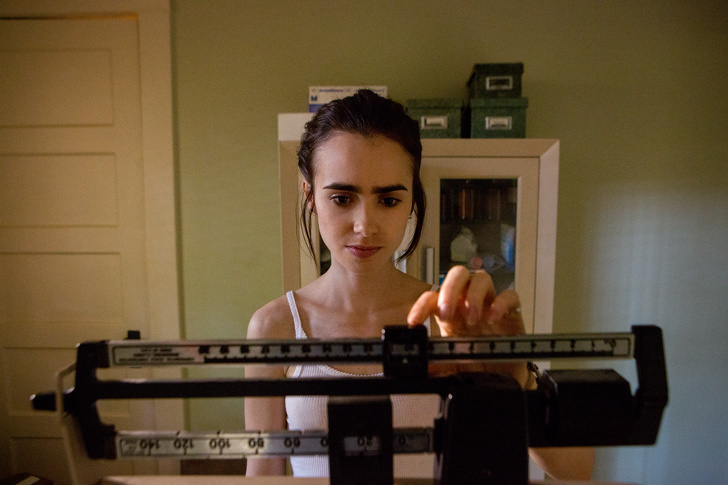 ​You should break the habit of constant weighing and try to resist the urge to stand on the scale every time you see it. An obsession with weight can slow down the process of losing weight. Every time the figure appearing on the scales differs from the expected result, you judge yourself. It demotivates you, puts pressure on you, causes negative thoughts, and spoils your mood. And all this can lead you to give up and relieve the obtained stress by eating a lot. So it’s better to weigh yourself only once a week and take the numbers as information, not a judgment. ​Our bodies need numerous elements, vitamins, carbohydrates, and even fats. If you exclude some of these beneficial components, then your diet may cause more harm than bring benefits. Eating only vegetables and fruits, as well as fast food and a large amount of sugar and salt makes it difficult to lose weight. Therefore, it’s important to track your diet and take into account that it should contain magnesium, vitamins, healthy fats, and other elements. ​Training is a great way to decrease fat. But it’s important not to forget that they should be diverse. Each type of exercise influences the body in a certain way. Therefore, you should not give preference only to cardio or stretching. Add high-intensity and strength workouts, swimming and even martial arts. And don’t think that training is only possible in a gym with exercise equipment. You can do workouts at home and in the street. Just try not to overload. Do exercises in good faith, with full dedication, but do not harm yourself. ​Stress is bad for the whole body and for weight in particular. It influences your diet and emotional and physical condition during workouts along with their quality. In addition, high levels of the stress hormone (cortisol) promote fat formation. Use any opportunity to reduce stress: try to relax more, do not work above the norm, take up a hobby or hang out with friends. When you feel relaxed, you have more motivation for new success at reducing belly fat. ​Last but one of the most serious reasons is Polycystic ovary syndrome (PCOS). This means a high level of male hormones in the female body. It affects many of the organism’s functions like menstrual disorders, problems getting pregnant, and the risk of diabetes. In addition, PCOS affects weight gain. In order to find out your level of androgens, you can consult a doctor and take an analysis.